Bollywood buffs who've seen the promos of Man ko ati bhave song from London Dreams are delighted by Salman Khan's tribute to Dharmendra. Salman, in his adorably mad style, does the veteran's dance moves while wooing Asin against the backdrop of the Eiffel Tower. Confirming that Salman's moves were consciously modelled on the lines of Dharmendra's, choreographer Rajeev Surti said, "When we were discussing the choreography, Salman suggested that we incorporate Dharamji's famous moves! He is a big Dharmendra fan and felt that the steps would go really well with the fun feel of the song. He managed to ape Dharamji's moves perfectly and added his own unique flavour to them!" Incidentally, when the number was being shot, French President Nicolas Sarkozy had just won the six-month presidency of the EU and, to celebrate, the Eiffel Tower was lit up in the blue and gold of the European flag. "We were lucky to grab that rare sight," said director Vipul A Shah. some scenes for the movie. comfortable playing their respective roles. To give the film an authentic look Santoshi is auditioning real life musicians to play part of Salman and Ajay’s rock band. London Dreams is about individuals, their dreams and desires, as brought together by their music. 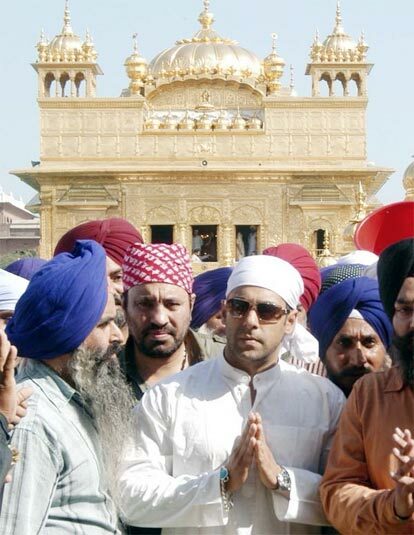 reports, South Indian actress Asin is doing the lead role, replacing Priyanka Chopra and Katrina Kaif.. Salman and Ajay were spotted shooting for the film at a railway station in Mohali and what was most interesting was their get-ups. While Ajay was looking cool wearing a mud colored jacket (on top of a bright red T-shirt) and jeans, it was Salman who was seen in a rather amusing avatar. 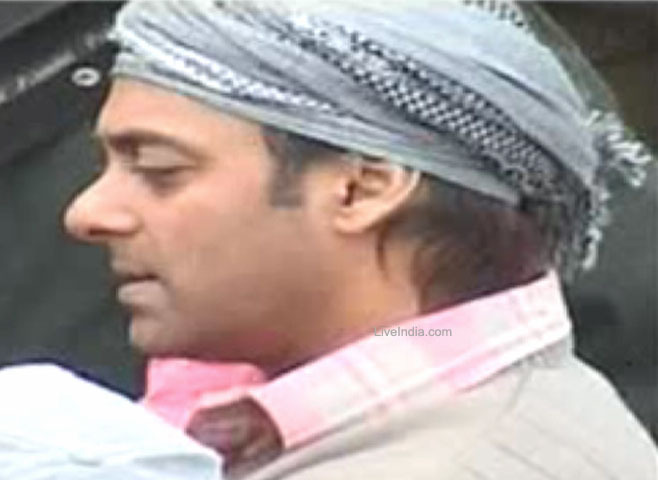 Sallu was dressed as a typical person from the interiors of Northern India sporting an ordinary checked shirt with a sweater and a pagdi.